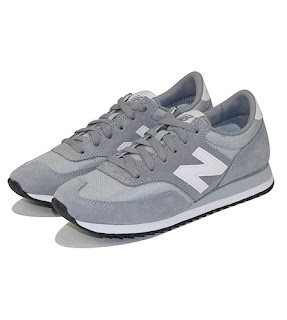 For my recent trip to New York, I really wanted a new pair of comfortable sneakers to walk all day in. I thought they would be easy to find. Unfortunately, it was quite a struggle for my small, flat feet. I'll describe a few of the sneakers I tried on and the ones I was lucky enough to find right before my trip. 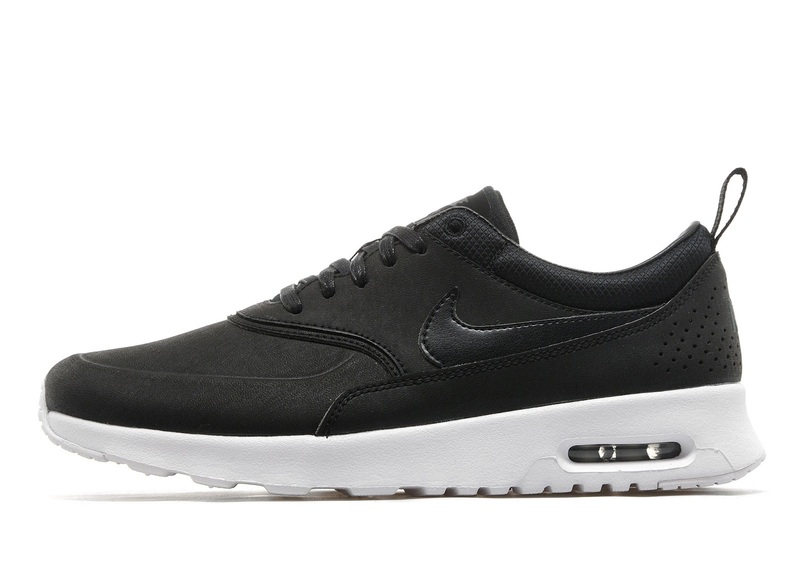 Since the Nike Air Max Thea shoes were released, I was seeing them all over Instagram and totally fell in love with them in the premium leather style in black and grey. Since high school, I've always been a fan of the Nike Air Max line, having owned a pair of Air Max 90s and Air Max 95s. The only downside was that they were a little big in proportion to my twig legs and tiny body. However, they were pretty comfy and popular at the time so I got them anyway. I went to buy the Air Max Thea Premiums in black. However, I couldn't get over 1) how big they looked compared with the rest of my body, mostly my legs, due to the thick sole, and 2) how the edge at the back seemed to poke me every time it touched the back of my ankle. I somewhat remember that same slight discomfort with my previous Air Maxes but I always ignored it. However, if I was going to pay over $100 for these shoes and will be walking in them for hours, it was a problem if the poking already hurt me just walking around the store trying them on. Shopping Tip: If the item feels slightly uncomfortable in the store, think hard about whether breaking it in will make the discomfort go away. If you think the discomfort is there to stay, will you really be happy purchasing and wearing it? 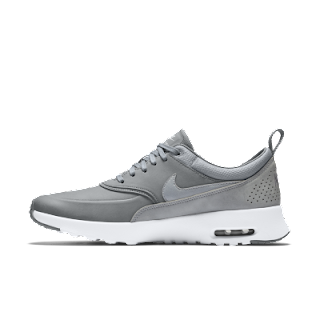 Because I remember the discomfort not going away in my previous Air Maxes, I had to sadly turn down the beautiful Air Max Theas. 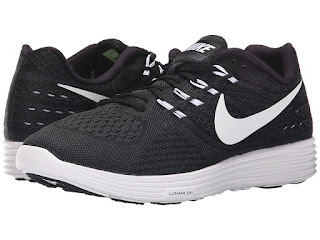 I found a pair of black Nike LunarTempo sneakers at DSW. I was so excited when I found that a size 6 fit well when I'm normally a 5.5. However, the arch was so defined on the outer part of the foot that it was not comfortable for me. It was so hard to turn down nice Nike Lunars at a discount, but when I was going to be wearing a pair of shoes for hours exploring during vacation, I needed shoes that were really comfortable. 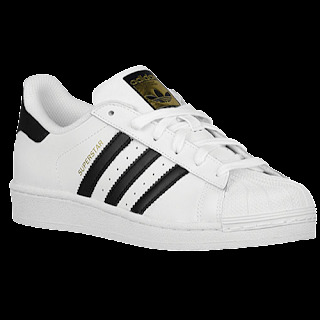 I also owned a pair of Adidas Superstars in high school so I decided to try them again because they're making a comeback on Instagram. However, they never looked good on me and still don't look good on me. 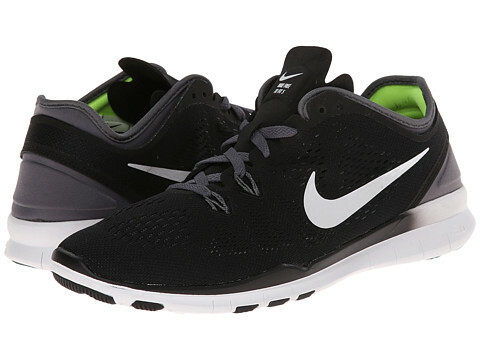 Similar to the Air Max Theas, they're bulky for my tiny legs and figure. It was a clear no for these as well. However, I didn't buy it for two reasons. 1) When walking around the store, I noticed when I walked and bent the tip of the shoe, the part with the laces would slightly dig into my foot. I never noticed this in other shoes and it was not comfortable. 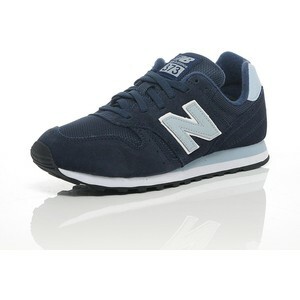 2) They were navy and I'm not a huge fan of navy or blue shoes especially when I wear jeans often. I don't like wearing shoes that are a similar color to my jeans so I turned these down as well. I liked the bright green for working out because I wanted to brighten up my normally dark workout outfits. However, for traveling or casual days, the bright green doesn't match the majority of my casual or weekend outfits and really stands out (in a bad way). But overall, I really like the way these shoes fit. 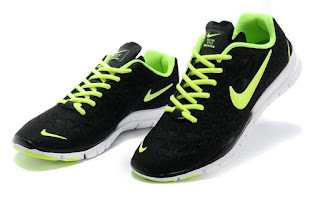 They're training shoes so they're very light and flat, ideal for weight training. They also are very comfortable for my flat feet. Although there's a hint of green inside the shoe, it's barely noticeable when worn. There is a very slight difference in fit between the two models, but personally, I like the fit of both because they're both light and flat. Also, unlike the Air Max line, they're not as bulky on my small feet. If you're on the hunt for casual sneakers, I hope my fails and fit descriptions helped a bit. Hopefully it saves you a few trips to stores to try on shoes because I can't tell you how many stores and online websites I visited to look for my perfect pair!